This is a well worth read and review….for all of us moving down the CE-5 route especially…. Initiating Contact with benevolent extraterrestrial beings is for many a step in the positive direction of taking greater responsibility for your life¹s choices and actions. You have removed yourself from the ranks of those who remain passive, those who wait instead of using enterprise to create the new reality, and you become a catalyst for the vision of empowered and harmonious interactions that hails the advent of an ‘Awakened Humanity’. 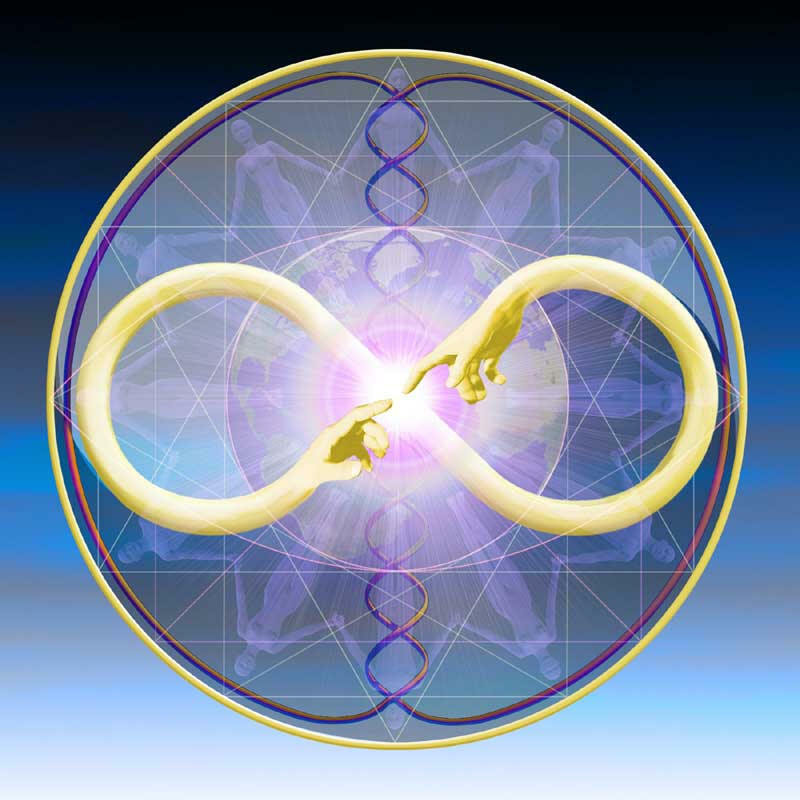 Here is held the enlightened idea that all consciousness, all beings, are connected back to our originating source via love and that the creator is within all the created. Nothing separates us but our own self-awareness and this need not be an isolationist state, but a world with open borders to the galaxy and beyond. Initiating Contact also implies that you have or are ready to embrace a framework of reality in which we are not alone or isolated, nor are we the only evolved being with the capacity for abstract thought, a desire to improve ourselves and a spirit for adventure and goodwill that impels us outward to meet our neighbors. Spiritual study (and now the study of string theory in quantum physics), as well as telepathic and physical contact with ET friends, provides us with the tools and capacity to conceptualize the idea of life existing – not only in our dimension at a specific frequency (or life wave) that we identify by our five senses – but that life can and does exist at other frequencies and dimensions. It is possible to create a bridge of communication to such civilizations and beings through the inner senses alone. This is what the first phase of Initiating Contact is all about, expanding beyond the five senses to embrace and develop your extrasensory abilities and spiritual will power. Physical contact is for many the ultimate goal. Such events are happening right now around the planet. Many humanoid and other types of respectful and highly developed beings are going to the greatest lengths to avoid distressing or frightening people as they reach out to those who are ready and those who sincerely hold a long term goal for such contact experience. Yet physical contact is NOT the final goal or one of the highest importance, this pedestal is held for our spiritual development alone as the highest achievement and the main reason why we are here in the first place. Contact is only relevant if it in some way promotes a greater personal and transcendental understanding of your true eternal self. Contact is only desirable if it in some way can inspire you to live your life more fully and to hold firmer your own vision for the planet transformed into the world of your dreams. ET ships in the sky are a sign of the support and encouragement of other races. Yet a sighting in and of itself is not what is important, it is what you allow this confirmation of the vaster universe to do for your own state of mind and heart. Contact preparation is an ongoing discipline that relies upon your spiritual development and the studies which support such development. In order to advance, you must be consistent, patient and put in the practice to achieve the desired results – just like in any activity that requires skills to be developed such as ballet, chess, playing a musical instrument etc. MEDITATION: Meditation is the key to self-mastery, including the key to overcoming your deepest fears. A daily meditation practice is the first step to preparing and being prepared for contact at all levels. Meditation can take many forms, but basically it is a tool for silencing the mind and inner chatter so that you can learn to hear your own higher guidance. It is from this place of inner silence that you also begin to develop your ability to receive and send telepathic communications. Once you learn to hear your own divine voice you develop discernment and wisdom, and eventually it becomes very difficult for anyone or any being to deceive or manipulate you. BREATHWORK: In yoga there is a disciple know as Pranayama which is designed to specifically teach how to control and manipulate the breath for heightened consciousness, greater physical endurance and developing the central nervous system to accommodate higher energy frequencies. Learning to control the breath is important to both the telepathic and physical contact experience. 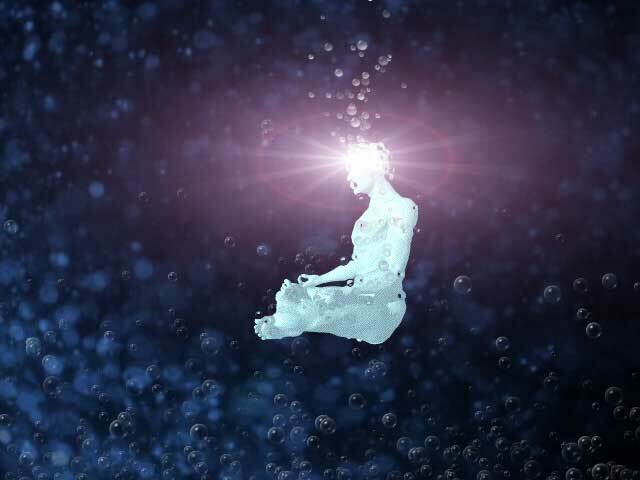 For telepathic communications the breath can be used to help settle the mind and to expand that inner silence to better facilitate sending and receiving messages. In physical contact, deep and focused breathing can help one to overcome the natural fears which may arise and attempt to take control of an unique experience. Practice breathing in slowly and deeply for a count a five, pause a moment, exhale slowly to a count of five, then pause again for a moment. Bring your full attention inside yourself to that place between breaths. (This place between breaths in which all air is exhaled is the state from which inner stillness can be found.) Hold that place of stillness a moment and then breath in again slowly and deeply to the five count. Each time you come back to the place of a full exhalation and the pause, focus on bringing the stillness into more and more of the breath cycle ­ expanding the momentary pause to include the breathing in until in reaches the full breath pause. This breathing exercise should be done every day for ten minutes prior to your meditation practice. Expand the five count over time to a six count and then a seven count and beyond ­ but do not go beyond what feels comfortable. This exercise is meant to help you increase your deep, focused breath while staying completely relaxed and at peace. Any strain means you are attempting to move ahead too quickly. Eventually a 15 or even 20+ count may be achieved. DIET: Telepathic communications take you into an arena in which you will experience heightened frequencies in and around your body. This is not a problem for a healthy and fine tuned body, but in can create stress for those whose bodies are not adapted. In the physical contact experience, even more preparation is often needed to get the body to a state of its optimal frequency capacity. Fortunately, there are many dietary things we can do to optimize ourselves and our vibrations. *Special Note on BELIEFS: If you believe that you cannot maintain health without meat, then you may create health problems for yourself if you cut out meat from your diet without first changing this belief structure. Our minds create our reality. 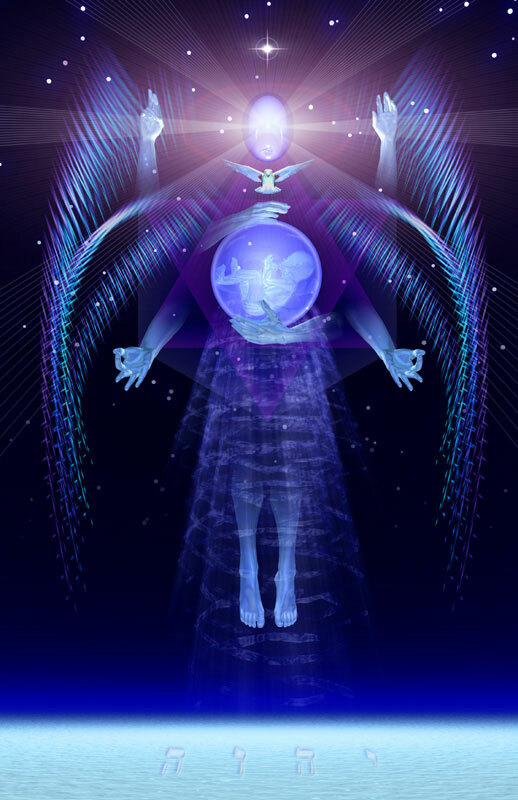 What is suggested in these guidelines is information that many of our own spiritual masters and several ET groups have offered us as insights to optimize the body for more refined spiritual energies. But this cannot happen without the mind, body and belief systems brought into harmony. Thus it is your own responsibility to self-examine and determine what is appropriate for your current state of health and well being. SELF CONTROL EXERCISES: An important part of any contact (or life) experience is feeling that you are prepared for whatever happens, and knowing that you are ultimately protected no matter what challenge presents itself. These exercises will help to establish this foundation and may be done once a week or more as possible. They are suggested specifically by the very loving humanoid beings of Ganymede through their contactee Sixto Paz Cruz of Peru. 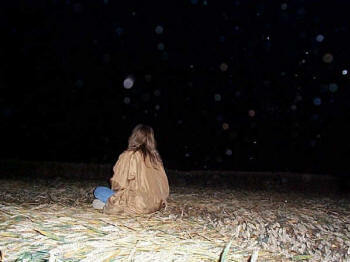 Go to an isolated place in nature with a friend at night. For one hour, part ways walking in different directions and spend the time alone in the silence and solitude ­ continue strolling or find a place to sit and contemplate. In the darkness of night find and experience that inner knowing that you are protected and looked after. This exercise can be used to calm the nerves and to more deeply connect with your own inner resources. Eventually the silence will be welcome and in it you will experience a heightened sense of unity with all life. Face your fears in meditation. Think of a thing that frightens you greatly in life and hold that thought in meditation. Follow the thought of that fear and allow it to lead you. Some people will see or experience in their mind¹s eye a story of an event that led to such a fear, and others will just feel helpless without much input. As you confront that which makes you afraid, ask yourself why you feel helpless. Envision a new way of dealing with this threat and find a way in which you are not helpless at all. In facing your inner fears, you bring greater peace and ease to your life and fortify your own sense of what you are truly capable of achieving. HOLDING THE VISION: Many of our ET friends tells us that no matter what the challenges, we must learn to hold our own vision of a better world and not let anything tear this from us. This is the hope for our future, our path out of war, hate, pollution, poverty, global warming and all our planetary ills. It is our belief that we can make a difference, that we CAN create the world of our dreams, and doing work to support this inner vision. Any and all work is important work as long as it feeds or cultivates the creation of this better world. We all have a role to play and many helpful ETs are here to support and encourage us to live to our full potential. Most ET races communicate through thought transference, also known as telepathy. Contrary to long standing myths, telepathy has nothing to do with trying to penetrate someone else’s brain in order to extract what they are thinking. Trying to intrude inside another persons head will reap little in terms of information and will probably give them a headache as well (from you pushing your energy into their space). This is poor psychic etiquette and ineffective. Telepathy follows the same guidelines as meditation. It requires a person to quiet their minds and internal chatter and once inner silence is achieved, then the ‘real’ communications are heard. In meditation this is the access point to the voice of the higher self. When communicating telepathically, this same silent vastness is the gateway to all the frequencies imaginable and thus the internal transfer station for sending and receiving, for exchanging ideas and information with other beings. As stated earlier the information of what another is thinking is not found by entering them, it is found by entering yourself. It is found through the achievement of mastering your own internal clutter, by refining that which is coarse in perception within you, by creating a pathway that knowingly connects you to the all that is, that great ‘oneness’ that all consciousness shares. Telepathic communications do not take only one form either. They can and do sometimes come as words, internal verbal sentences, but they also come as images, pictures that travels to your mind¹s eye as well as gestalts of pure knowing. Sometimes it is as if someone has just downloaded you with a whole block of information that you recognize as a complete structure without having to pull apart the pieces. Thus telepathy can put to work a whole array of spiritual senses in order to convey the ideas and information fully and in an accessible form. Yet one must keep in mind that the information, even telepathically conveyed, is still subject to an individual¹s perceptions and filters of reality. If a topic is weighty or emotional for someone, it will be especially influenced by one¹s own subjective views and biases. Just as four people can witness the same event and relate very different versions of what happened, so too can a telepathic message be slanted in the same way by personal perspectives. The more internal spiritual work you have done in facing and mastering your own issues, the more universal your perceptions and truth becomes. Form a (small) group of like-minded individuals interested in establishing telepathic communications with ET friends. Meet at least once per week. Groups create a stable and safe environment in which to embark on this journey of contact. Consistency is important. Many ET groups establish regular communications with a contact group after they have proven an ongoing commitment. Do you feel ready to open yourself to a telepathic exchange? Do you feel ready to have a visual confirmation of the ET presence? ­ i.e. see an ET ship. Do you feel ready to have a physical contact experience? Do you want the benevolent ETs to show up and make themselves known to the entire planet? Identify individual spiritual goals. Contact for contacts sake is not what the benevolent ETs are interested in promoting. They offer a valuable experience to bolster your own evolutionary process (as you do for them in return), so take the time to have each member of your group state a specific spiritual goal that interests them, then create a more general group goal. This will help members of the group to focus once communications have been established. For example, some contact groups may have a majority of members who are interested in the healing arts, thus you may focus the group intention on calling in an ET group who can offer helpful information in this field. Whether working to assist the environment, developing your intuitive skills, interspecies communications, understanding the nature of higher dimensional planes, etc. ­ identify one or several group interests that the ET communications can support. This structure may grow and evolve naturally as the contact group and ET group get to know each other. Remember that creating a safe and stable environment for all members of your contact group creates the foundation for fulfilling and long term interactions. * However, remain open to the idea that an ET group not on your list may ask to communicate. It will be the choice of the individual(s) who receives the request if he/she accepts (depending upon how their energy feels – loving and safe or fear generating) and then later the group can decide whether to invite future dialogue. Chose a QUIET meeting place. An outdoor and indoor option is preferable so that the weather can be taken into account. If you are within a city and cannot escape traffic, lights and people, you may decide to meet indoors regularly for telepathic exchanges, and then schedule a trip to the country for a camping trip with the group whenever possible. The optimal condition is to be in a peaceful rural setting outdoors, up on a mountain or out on an open plain with few remnants of civilization in sight. But even the basement of an office building will do if nothing better is available. Telepathic communications can take place anywhere ­ location, time and space are not factors, only a quiet and safe space in which to concentrate. Most contact groups meet at night, but it is just as acceptable to meet during the day if peoples schedules permit. If you meet in nature you will need outdoor chairs that are comfortable, accessible and easy to carry. Also bring flashlights and water or something to drink. Dress comfortably in loose fitting clothes and make sure you have enough clothes and blankets to keep warm. It is hard to concentrate when your body is not comfortable and many people get cool while sitting in meditation for any length of time. Have a member of your group bring an inexpensive digital camera. Take plenty of pictures around the group especially after the Group Contact Meditation. Expensive digital cameras have special infra red and ultra violet filters, but the cheap ones do not carry such extras. Many phenomena, including the orbs which so many people are now taking note of can only be captured in the infra red and ultra violet spectrum. 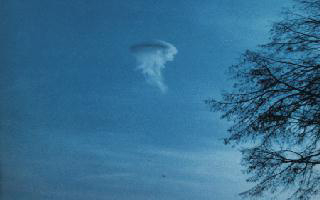 Sometimes even ships, probes or beings come up on pictures that no one noticed at the time (they were out of our spectrum of vision), but the camera caught the phenomena. Pay attention to cloud formations in the sky. Some ships travel in a higher frequency state which approximates the density of our clouds. These clouds can look like near perfect saucer shapes and are fantastic to see. Such ships have been caught on film morphing from a cloud state into a more solid, physical state. Pay attention for a triangulation pattern of the stars in the night sky. Often in your contact group you will establish great communications with the ETs but not see their ships. When ships are not visible take special notice of the stars above the group. Sometimes the stars will look as if they have been rearranged into a pattern of perfect triangles twinkling in all directions. It is as if the ETs are playing with cosmic geometry just to validate the efforts of the group with a beautiful display. This effect in the sky can hold stationary and then suddenly disappear, bringing the stars back to the visual state we consider normal. Pay attention to animal sounds in the night and odd animal appearances. ET can communicate with a group in many ways, including sending animal messengers. They too are helping us to perceive nature as part of our greater reality and the animal kingdom provides another dynamic communication network to tap into. If your group is outside, take note of animal calls that take place during an important message being received from the ETs or monitor your emotional state. The screech of an owl can be a message to pay attention in some way. If you suddenly feel a pressure in your ears (same as you feel when you ascend or descend in a plane) during a contact meditation, this informs you that a ship is near by or that one has even settled above your group with an energy field. Higher frequency ships are not visible to the naked eye, but are sometimes visible to clairvoyants or those who know how to use their spiritual eyes. With little practice, group members become more adept at feeling and sensing what is around them when their eyes do not reveal the full story. * And it should be noted that this is an important aspect of contact – development of the intuitive senses. Clear the space and have everyone center their attention by toning, chanting or have someone play a crystal bowl for a few minutes. In each meeting one person from the group will be designated to lead the Contact Meditation. It is best if everyone takes a turn at this position to promote equality and participation at all levels. At this point the leader for this meeting will begin to play the meditation music and everyone will prepare themselves to sit quietly for the next 30-60 minutes. The designated person will now have everyone close their eyes and envision a golden white bubble of light around themselves. This personal energy bubble will be created with the intention of only allowing in those energies which are in alignment with the individual¹s highest good. Then the leader will guide the group to create a much larger bubble which can encompass the entire group and which once again will only allow in those energies which serve the divine will. Next the leader will talk the group through 10 minutes of breathing exercises (as listed in the ‘General Tools and Practices for Preparing for Contact’ section). With everyone now grounded and centered, the leader will ask the group to open their heart centers and to envision a golden light of loving energy flowing freely into their bodies, and then all around them to fill their personal bubbles. Then have the group unite the energy of their hearts and send this healing light around the planet to enfold all of humanity in grace and peace. 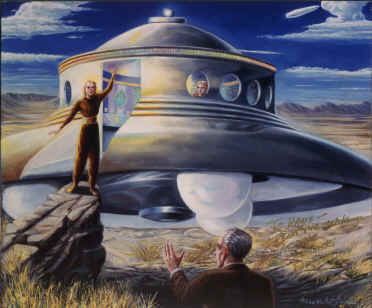 Use this same energy then to create a wave into space, reaching out in the spirit of brotherhood to connect with those ET civilizations the group chooses to invite in for communications. The leader will state the group¹s spiritual goal(s) and ask for those ETs who can best assist these goals to communicate. Continue to guide the energies beyond time and space, from form into the formless. The designated group leader will learn to open herself/himself to the spontaneous influences of the moment, and to create the meditation with whatever imagery and information or guidance feels right. To complete this phase, the leader will tell everyone to open themselves to connect with whatever ET being or group feels appropriate, and that they will be free to their own experience for the next 30 minutes (45 or 60 or whatever approximate time period) and that the leader will gently call them back and ask them to complete communications at the end of this period. After a given period of time passes or it feels like everyone is complete, the leader will softly let everyone know to take a few more minutes to finalize any interactions. Then the leader will ask everyone to return to their bodies, taking a deep breath and opening their eyes. It is often appropriate to then sit in silence for 5-15 minutes, enjoying the lingering energies and allowing people to digest their individual experiences. It is also the appropriate time to pay attention to the sky for any aerial or unusual activity. After this quiet period, everyone should be invited to share any appropriate experience, message or communication that they received. This is also a very good time to take some pictures with a cheap digital camera around the group to capture any ultra violet and infra red spectrum activity. After everyone is done sharing their experiences, if the group is outdoors it is lovely to continue to sit and star gaze. Patience can sometimes yield rewards. Otherwise, decide on the next meeting time and new group meditation leader before everyone departs.